This post is a follow up to a recent article regarding those who are considering getting rid of their boat before winter. I will briefly recap a few key pointers to keep in mind. Can you sell your boat, or is too big of a hassle? Ask friends and do your homework to find a reliable charity. Transparency and customer service are key when picking a charity. Be realistic about the donation process. Each charity has its own way of accepting boat donations. Some have better customer service than others. Some will get back to you quicker and many will promise the world which they cannot fulfill. Be clear what the boat donation will go towards. A boat donation can go to provide actual training in the water at certain charities. Most places that receive boats sell the boat in a junk yard and then transfer the funds towards various projects and programs which can include kids’ education, American Cancer Society, the VA, and Habitat for Humanity etc. Many charities utilize the services of a third party or middleman to help them process these boats from handling the pickup, sale, title-work, and transference of the funds. When this is the case, there is less funding going directly to the actual programs of the charity. The third party will naturally take a percentage of the revenue of the donation. This is in addition to the administrative costs of the charity themselves. This does not necessarily disqualify the charity as legitimate as the IRS does give specific guidelines how much a charity can spend on these services and still be considered a qualified 501c3 charity. Donors ask – Will I receive a tax deductible receipt? If the vehicle (in this case your boat or jet ski) sells for more than $500 then you can deduct the actual amount (gross proceeds) for which the boat sold for. This is when the boat is sold to a non-needy individual. If the charity will make improvements to the boat or keep it for the charity’s use, donate it or sell it for significantly less than fair market value to a needy individual, then there are exceptions and you may be able to use a much higher amount for deduction. 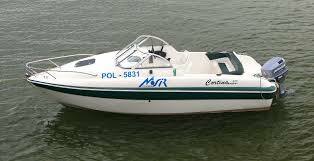 If the boat is sold for $500 or less then the donor has the option of deducting up to $500 even if the boat sold for less. For more information on this please refer to our tax benefits page and the IRS. 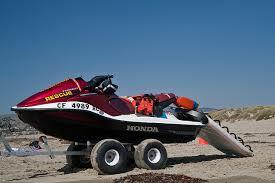 The actual “How to” process for donating a boat is as follows with most charities including Kars4Kids. Call the charity or us at Kars4Kids at 877-527-7454 or fill out the application online. Have a title and registration for both the boat and trailer. Make sure the boat is out of the water (even if still in the water, we still may be able to work with it). Know the make, model, year, and length of the boat. 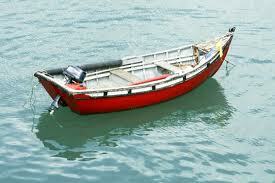 Know the approximate mechanical and physical condition of the boat. Know who the actual owner of the boat is. Have either recent digital pictures of the boat to email us or physical photos to mail via USPS for the Kars4Kids Operations Team to review. Be in touch with the charity and the tower to make sure the pick-up is arranged and takes place. Follow up with the charity after 1-2 weeks to make sure the receipt will be sent out or anything has to be worked out with the title etc. We’d love to hear your feedback! We are always working on improving our service. With each successful boat donation, another child or family can be helped whether educationally, financially, and/or emotionally. The funds at Kars4Kids do NOT go through a third party and go directly towards the charitable programs. Please don’t hesitate to contact us for any other questions you have regarding our process. Previous The New 2015 Car Models – Will You be Influenced by the Marketing and How?